We provide patients in the Rosebud area with custom-made acrylic dentures. Call now to book an appointment with our friendly team. The dentures produced by Peninsula Dental can be easily modified or adjusted in case any changes occur during their fabrication. 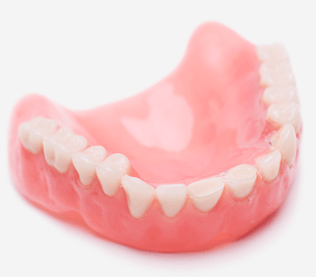 We use the highest quality materials when producing acrylic dentures to ensure their quality and lifelike appearance. We also produce dentures in a manner that makes your set look incredibly similar to your current teeth. Peninsula Dental provides people from the Rosebud area and throughout the Mornington Peninsula with partial acrylic dentures. Our team of highly skilled and experienced dental professionals will be more than happy to meet you for a private consultation to discuss your new denture. Looking for a dental clinic on the Mornington Peninsula that can determine whether Acrylic Dentures are suitable for your teeth? Contact us today on (03) 5981 2255 or book online peninsuladentalcare.com.au for a consult so that we can assess your suitability.